For the last year or so — from “Time to Talk Day” to campaigns fronted by the British Royal Family — we’ve all been barraged with the message that we should be talking about our mental health problems in order to raise awareness, and ideally, seek help. Much of this narrative is explicitly aimed at men, the burden on whom mental illness is not insignificant. According to the U.K.’s Office for National Statistics, three-quarters of suicides are committed by men. Suicide is also the biggest cause of death of men under 35. Similarly, men are less likely to seek support for their problems from both doctors and family and friends. In that context, it’s no surprise then that a raft of men’s mental health campaigns have emerged in response. 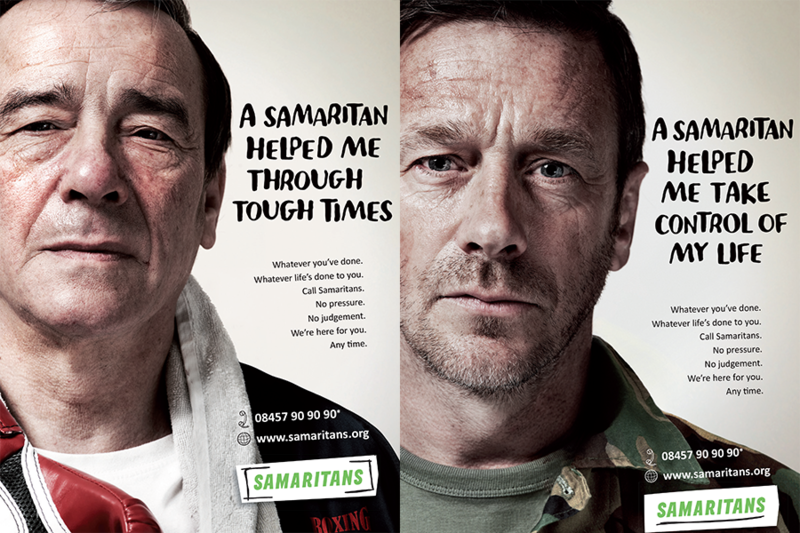 In particular, Samaritans, a charity that provides support to those experiencing suicidal thoughts and emotional distress; The Campaign Against Living Miserably (CALM), a men’s mental health charity; and another mental health charity Mind have all developed specific mental health campaigns aimed at males. But if men are less likely to seek support for their problems because they feel they have to be stoic, could these campaigns be hindering, not helping, them? Are men who don’t fit these normative standards alienated by them? And how do we build mental health campaigns for men that, in the long term, don’t feed into ideas that we know negatively impact their mental health? This tension weighs heavily on research done by CALM, which tries to “identify and understand the insight and need” of its audience and build campaigns from there. “It’s definitely a consideration with everything we do,” says CEO Simon Gunning. “Right now, a gendered approach to suicide is needed, and this means reaching men in traditional or normative spaces. But we acknowledge the risk of perpetuating gender divides and stereotypes in taking this approach, and this informs our work at all levels.” Often, Gunning explains, this means appropriating “a more normative space — like football or the pub — but using it to deliver a progressive or challenging message”. Campaigns must also move away from simple awareness-raising, too. We’re all “pretty damn aware” of the issues at this point, Urwin says. Instead, it’s time we address the societal and political causes of the mental health crisis.